In a study of screening mammography-detected breast cancers, patients who had more frequent screening mammography had a significantly lower rate of lymph node positivity—or cancer cells in the lymph nodes—as compared to women who went longer intervals between screening mammography exams. Results of the study were presented today at the annual meeting of the Radiological Society of North America (RSNA). In its earliest stages, breast cancer is confined to the breast and can be treated by surgically removing the cancer cells. As the disease progresses, breast cancer cells may spread to the lymph nodes and then to other areas of the body. "On its pathway to other places in the body, the first place breast cancer typically drains into before metastasizing is the lymph nodes," said Lilian Wang, M.D., assistant professor of radiology at Northwestern University/Feinberg School of Medicine in Chicago, Ill. "When breast cancer has spread into the lymph nodes, the patient is often treated both locally and systemically, with either hormone therapy, chemotherapy, trastuzumab or some combination of these therapies." Historically, healthcare organizations, such as RSNA and the American Cancer Society (ACS), have recommended annual screening with mammography for women beginning at age 40. However, in 2009, the United States Preventive Services Task Force (USPSTF) announced a controversial new recommendation for biennial screening for women between the ages of 50 and 74. "Our study looks at what would happen if the revised guidelines issued by USPSTF were followed by women," Dr. Wang said. 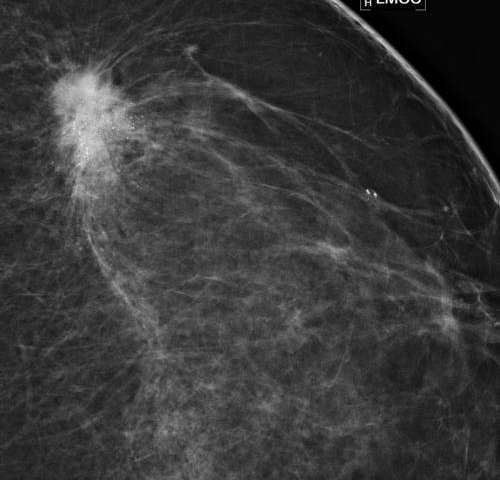 The retrospective study, conducted at Northwestern Memorial Hospital, included 332 women with breast cancer identified by screening mammography between 2007 and 2010. The women were divided into one of three groups, based on the length of time between their screening mammography exams: less than 1.5 years, 1.5 to three years and more than three years. There were 207, 73 and 52 patients in each category, respectively. Controlling for age, breast density, high-risk status and a family history of breast cancer, the researchers determined that women in the less than 1.5-year interval group had the lowest lymph node positivity rate at 8.7 percent. The rate of lymph node involvement was significantly higher in the 1.5- to three-year and over three-year interval groups at 20.5 percent and 15.4 percent, respectively. 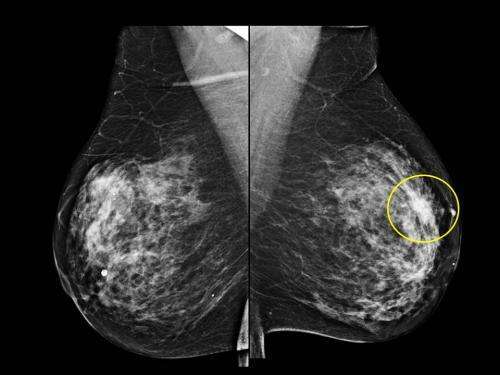 "Our study shows that screening mammography performed at an interval of less than 1.5 years reduces the rate of lymph node positivity, thereby improving patient prognosis," Dr. Wang said. 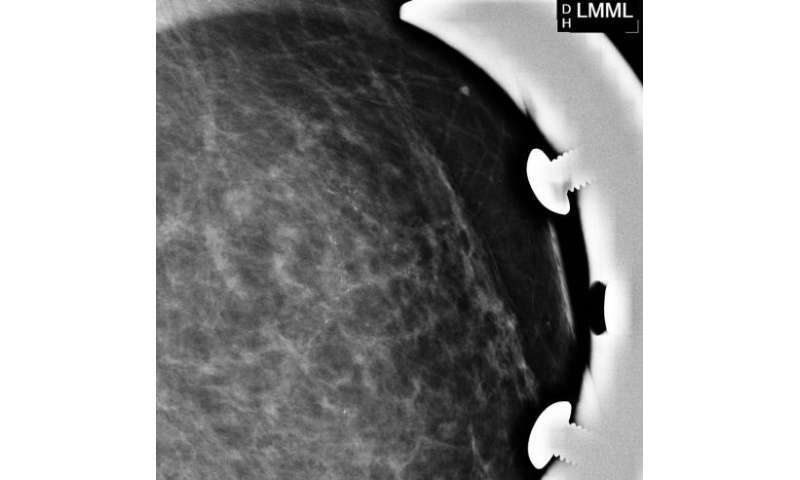 "We should be following the guidelines of the American Cancer Society and other organizations, recommending that women undergo annual screening mammography beginning at age 40."